Shizuku is a character from the Bleach movie Bleach: Fade to Black. He is the younger brother of Homura. Shizuku was the name given to him by Rukia Kuchiki. The two siblings held Rukia so dear that they were prepared to take extreme measures to be with her. 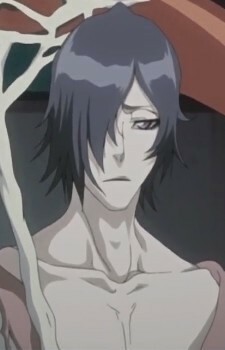 He and Homura were children born with unique teleporting capability in the 79th district of Rukongai, Inuzuri, who were taken care for some time by Rukia. At one point, they were assaulted by a shinigami possessed by a Hollow with powers to possess souls and erase memories. to save had to absorbed the Hollow into themselves, were teleported into Hueco Mundo and eventually forced the Hollow inside themselves into submission.